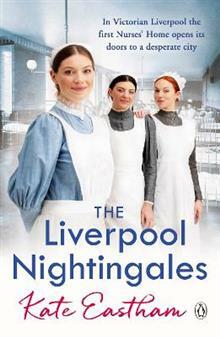 FOLLOWING ON FROM KATE EASTHAM'S DEBUT THE NIGHTINGALE NURSES Liverpool 1867. Stella works in a brothel near the docks, but when one of her regular customers falls ill her life changes forever. She is forced to take him to the Liverpool Royal Infirmary, leaving him propped agains... read full description below. FOLLOWING ON FROM KATE EASTHAM'S DEBUT THE NIGHTINGALE NURSES Liverpool 1867. Stella works in a brothel near the docks, but when one of her regular customers falls ill her life changes forever. She is forced to take him to the Liverpool Royal Infirmary, leaving him propped against a pillar on the steps of the brand new Nurses' Home and Training school. Sneaking in to visit one day Maud meets Ada Huston, Assistant Superintendent nurse, who persuades her to take a chance on herself, for once, and train to become a nurse. Maud is about to learn that she is capable of so much more than she ever believed - of making a difference, of helping those in need and of living a life she is proud of.